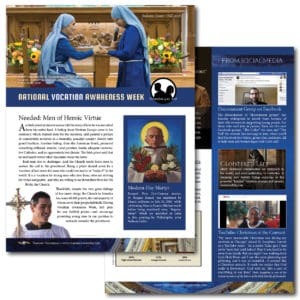 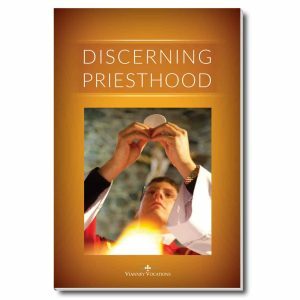 Vocations-themed greeting card for priests. 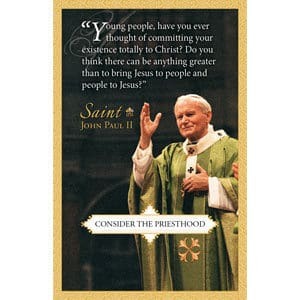 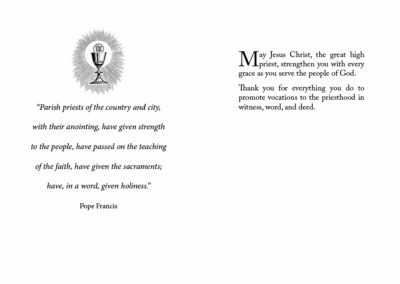 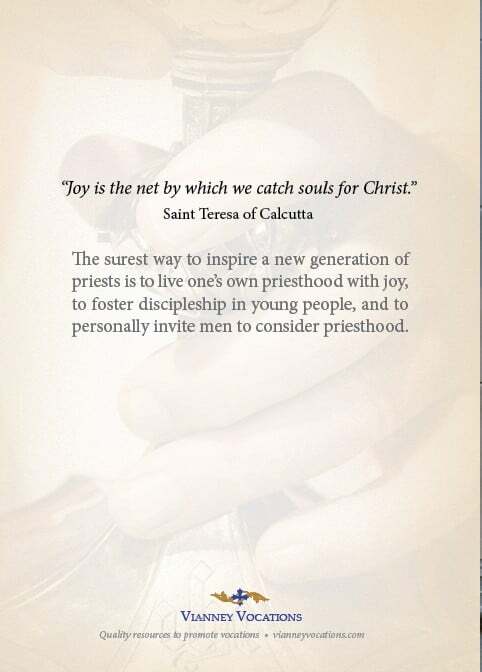 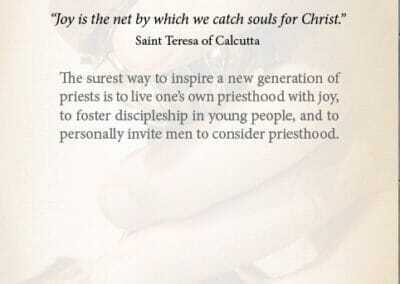 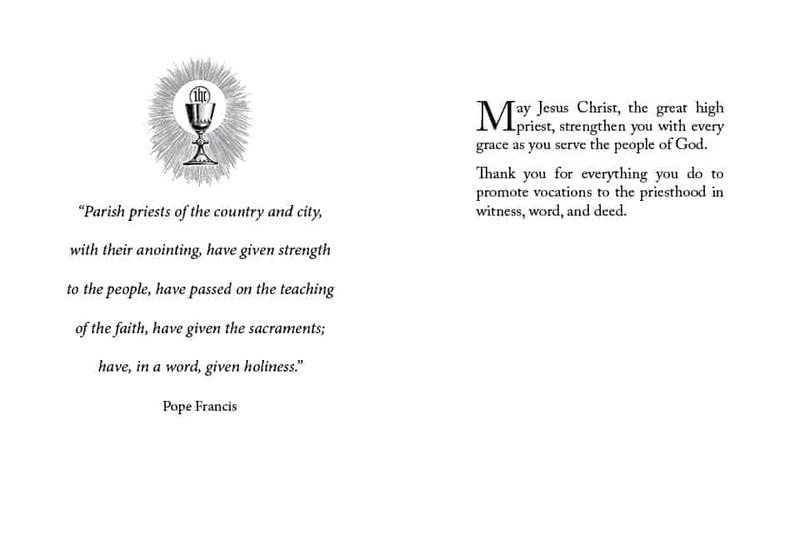 Greeting card for priests with a message of thanks and encouragement. 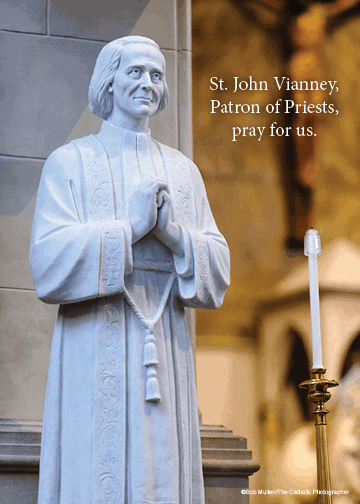 Can be sent near the Feast of St. John Vianney (August 4th), Priesthood Sunday (last Sunday in October), or at other times of the year.